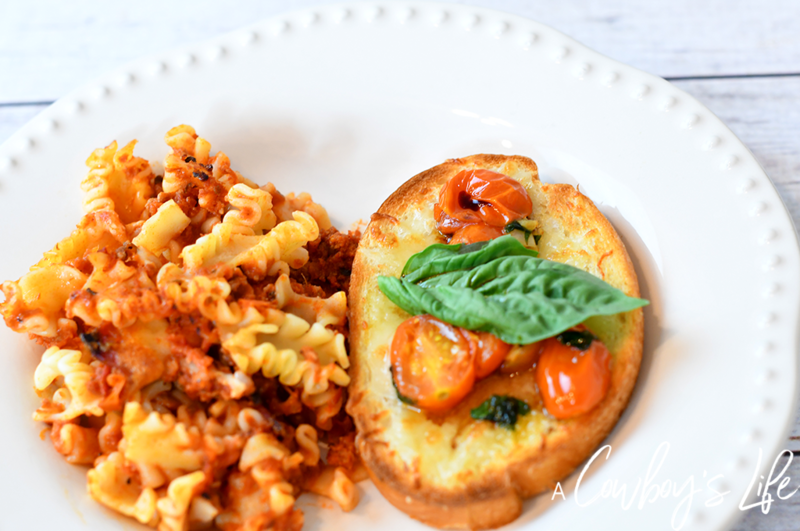 This Tomato Caprese Garlic Bread paired with Michael Angelo’s Family Size Cheesy Pizza Pasta makes a wonderful family dinner. Want a gourmet meal but don’t want to spend the time in the kitchen? Same here! 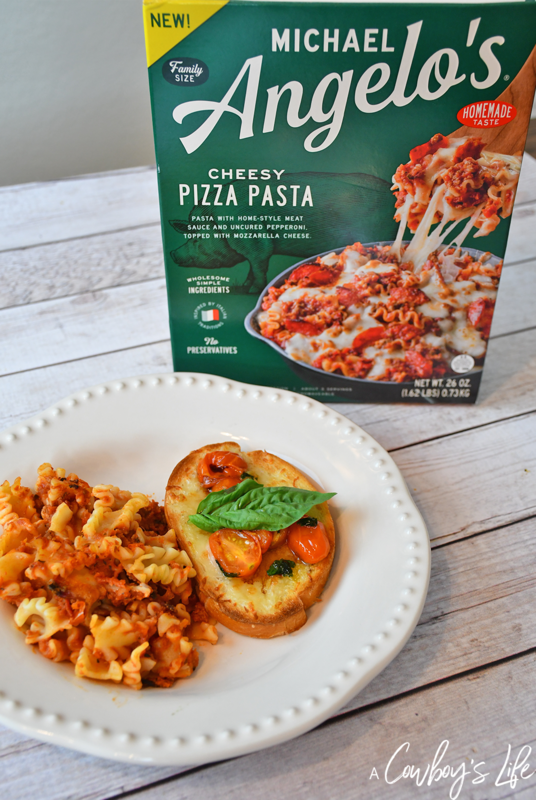 I recently made the Michael Angelo’s Family Size Cheesy Pizza Pasta and my son absolutely devoured it and wanted to know when I was going to make it again. It made cooking dinner a breeze! Plus it smells amazing and is made with ingredients you can pronounce and that you can find in your kitchen. I make sure to purchase a few of the family meals (located in the freezer section) while grocery shopping at Walmart. 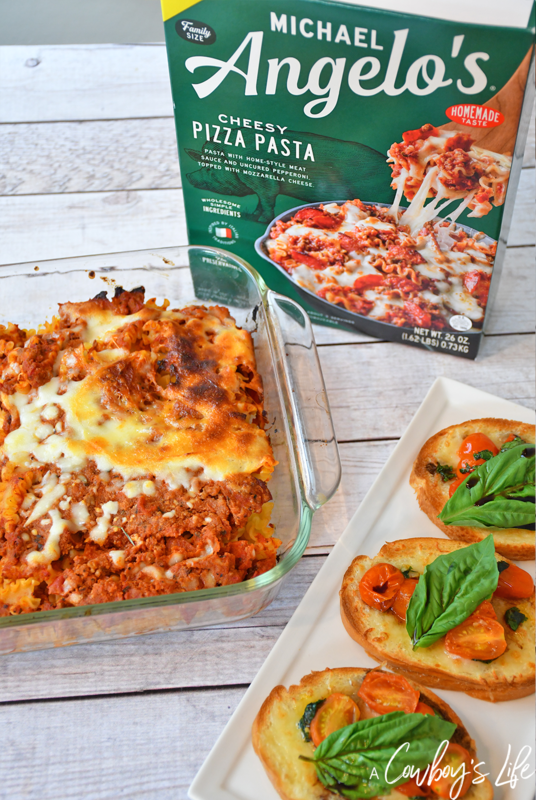 Keeping my freezer stocked with frozen meals has been a life saver! There are those days when you don’t have a lot time or energy to cook. 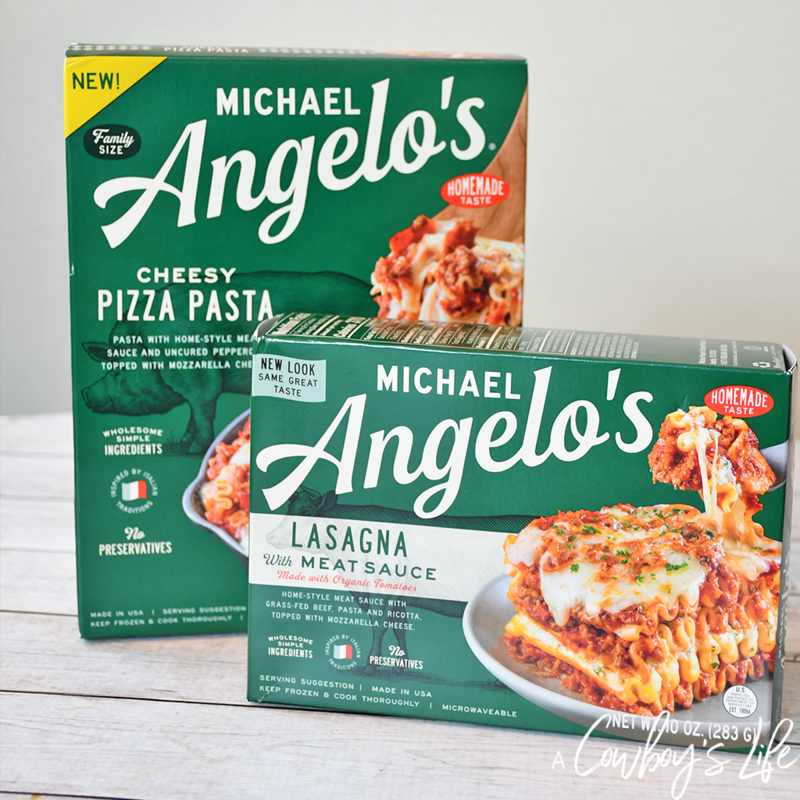 Michael Angelo’s has everything from single serve to family size, meal starters to calzones. Perfect for your mealtime needs! There are no artificial colors, flavors or sweeteners. Plus they taste homemade, which is why my family enjoys them so much. 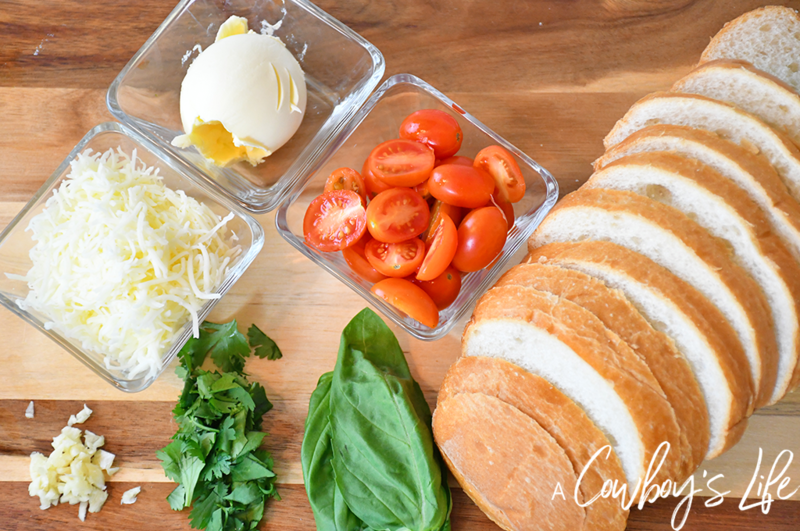 Not to mention that these family favorites can be made in a matter of minutes. Perfect for busy weeknights and hungry kids that constantly remind you they will starve if you aren’t feeding them constantly. Of course when I cook Italian food, garlic bread is a must. 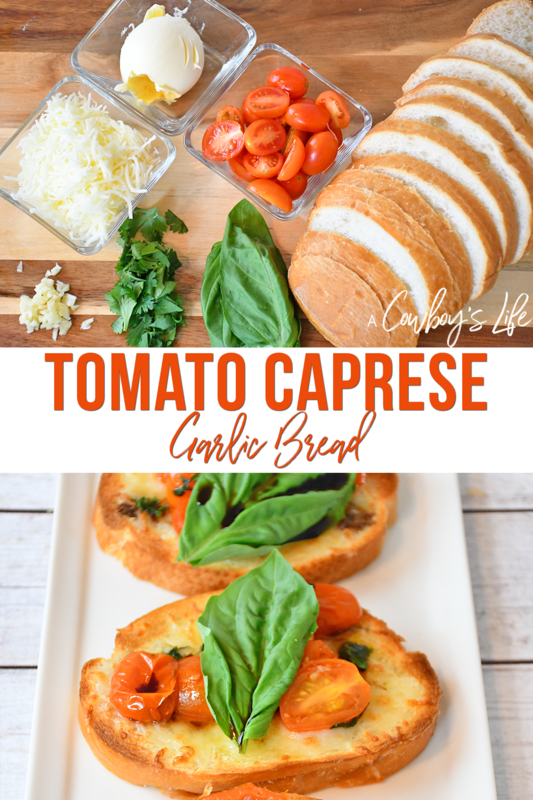 This tomato caprese garlic bread only takes about 7 minutes to make and is the perfect pairing with any of the Michael Angelo’s family size meals. In skillet, heat olive oil on medium-high heat. Once hot, add the garlic and parsley. Cook for about 1 minute. 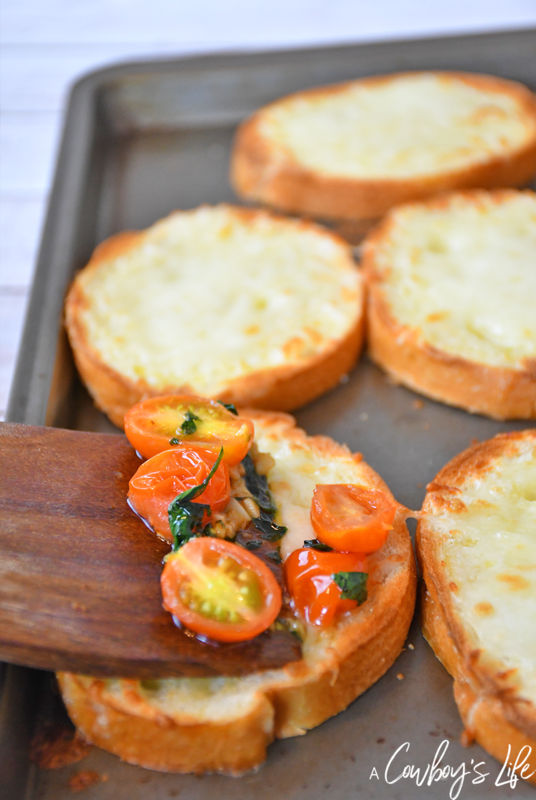 While tomatoes are cooking, add butter to baguette. Top with cheese. 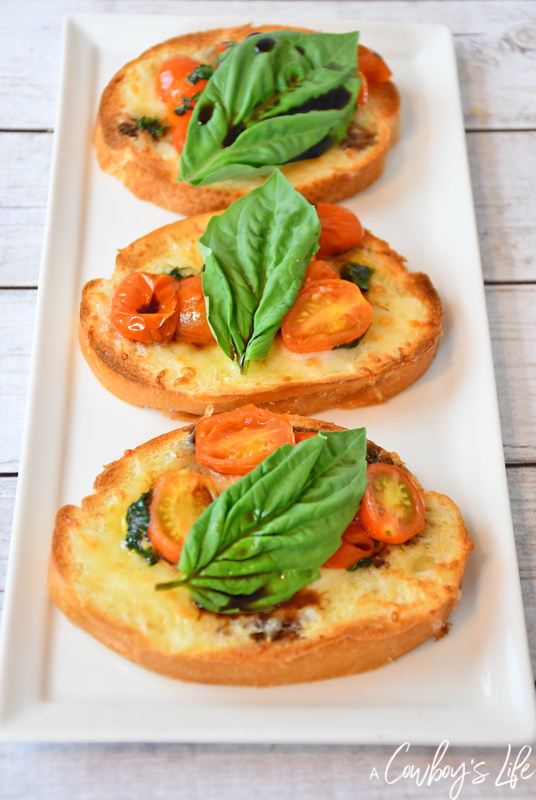 Top bread with tomatoes and a basil leave. 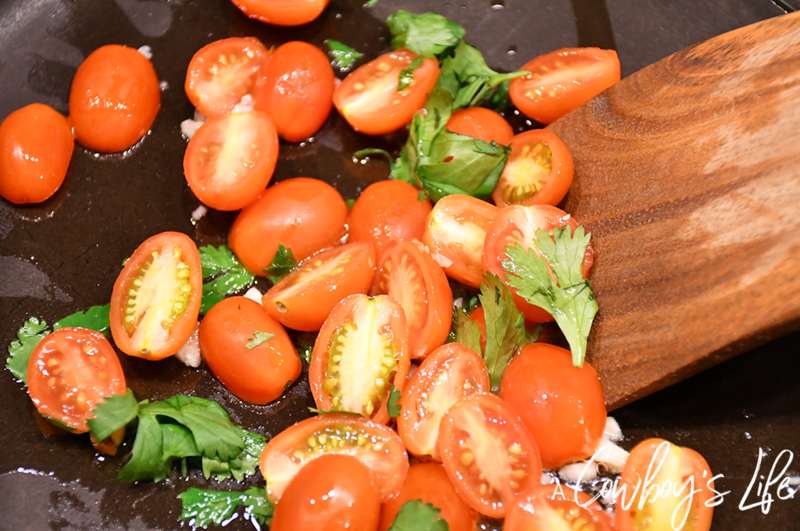 Drizzle on balsamic vinegar and serve. You can Earn Cash Back with Ibotta on your favorite Michael Angelo’s products, while supplies last. 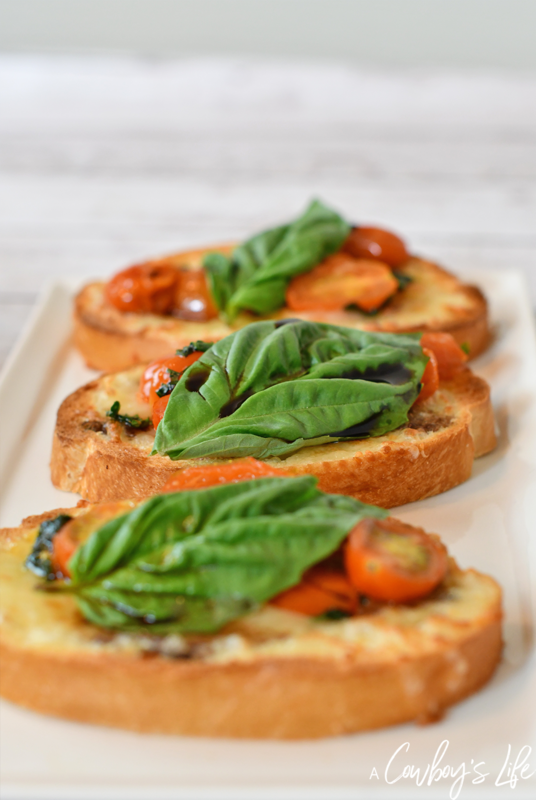 Be sure to click here for more Michael Angelo’s meal inspiration.